Heaven Hill Distillery, has announced that it has filled its eight millionth barrel of Kentucky straight bourbon. The eight millionth barrel was “bunged off” by Heaven Hill’s Master Distiller Denny Potter and President Max Shapira, in a brief ceremony attended by company executives and local dignitaries. This latest benchmark follows on the heels several company milestones over the past several months. In October 2017, Heaven Hill Distillery’s Bernheim facility in West Louisville unveiled an expansion as the largest single-site Bourbon distillery in American Whiskey, now producing 1,300 barrels per day. In February 2018, the Evan Williams Bourbon Experience filled the 1,000th barrel after producing one barrel per day since the artisanal distillery opened in 2013. Heaven Hill, which is the world’s second-largest holder of aging Kentucky straight bourbon whiskey, now has more than 1.3 million aging barrels of Kentucky Bourbon in its inventory and remains true today to its original mission as a family-owned and operated, independent Kentucky company, the last remaining in the Bourbon business today. 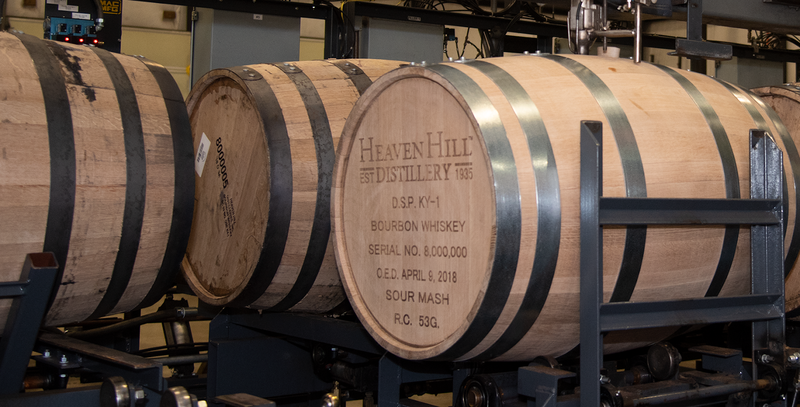 The eight millionth barrel, was signed by Heaven Hill employees in its Bourbon Heritage Centre and put up to age in Rickhouse Y, where it will be displayed along Heaven Hill’s other milestone barrels.